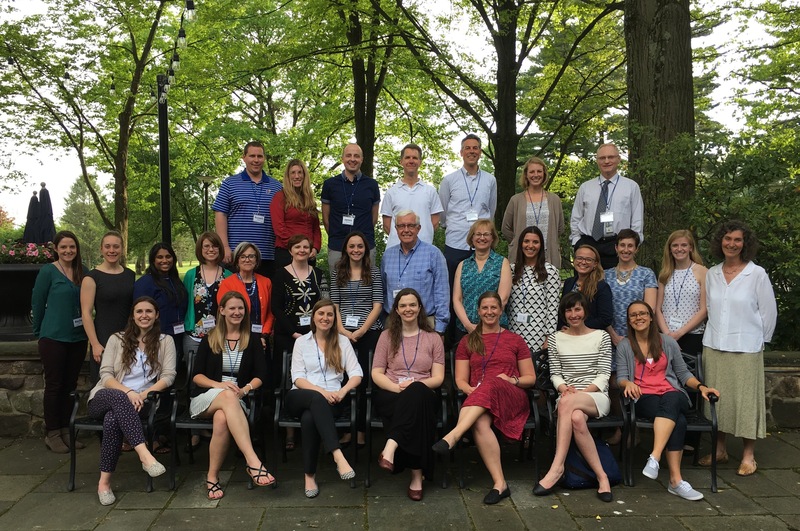 The Doctoral Student AAC Research Think Tank was held on the University Park campus of Penn State University from May 16 – May 18, 2017. The Think Tank brought together doctoral students and faculty to discuss strategies for developing research careers in AAC. The Think Tank was supported by funding from the National Institute on Disability, Independent Living, and Rehabilitation Research (NIDILRR grant #90RE5017) to the RERC on AAC, and The Hintz Family Endowed Chair in Children’s Communicative Competence. We are proud to share information on the 22 doctoral students from across the country, who participated in 3 days of interesting presentations and discussions! We are also pleased to share the feedback we received. Nineteen of the 22 participants provided (anonymous) feedback. This was such a unique opportunity to meet and begin to build relationships with both active and key scholars in the field, as well as, our academic peers. I gained both confidence in the importance of my work, the breadth and depth of the field at large as it continues to grow, and the pure desire of others to challenge and expand one another’s thinking. After leaving the Think Tank, I feel more knowledgeable about both the content and process of AAC research, and I feel energized to apply that knowledge to evaluate interventions to improve the lives of individuals who use AAC. As a student, I feel the opportunity to meet and talk with leaders in the field of AAC as well as other doctoral students was particularly valuable. There were so many great discussions not only about personal research but also career goals, collaboration and development that have made me reflect on where I want to go as a researcher and how I can contribute to the work in AAC to support individuals with complex communication needs. Participants also provided ideas for the 2019 Think Tank, more details soon!